With regard to the standard merits of a revolutionary police officer, President Ho Chi Minh once stated: “To himself, he must be hard-working, frugal, transparent and just/ to his partners, he must be friendly and supportive/ to the government, he must be absolute loyal/ to the people, he must be respectful and polite/ to his work, he must be devoted/ to the enemy, he must be uncompromising and smart”. These six precepts cover the distinctive standards of a revolutionary police officer, which include: moral standards, working principles, behaviors, and goals he/she must strive for. This is the grand ideology which strategically shapes the process of Party and force building for the People’s Police. Over the last 70 years, People’s Police Force (PPF) has grasped and strictly followed Uncle Ho’s Six Precepts on Standard Merits of Revolutionary Police Officer; turning the work of studying and realizing His words into an extensive, permanent, dynamic and effective movement, which is integrated into the work of studying and following Ho Chi Minh’s ideology, moral examples and lifestyle and executing PPF’s political tasks. These percepts have always been in the heart and mind of generations of police officers, encouraging them to demonstrate their revolutionary nature, achieve many great deeds and greatly contribute to PPF’s heroic tradition and the revolutionary cause of the Party and our nation. Notably, in the war against French Colonialism, our police force managed to protect or resistance bases by exposing and defeating many sabotaging attempts initiated by reactionaries and enemy’s intelligence services. In the war against U.S. Imperialism, the force successfully maintained order and security for the cause of building socialism in the North and providing support for the war in the South; its members showed great commitment to fighting against the enemy’s espionage and propaganda efforts and protecting the leadership of Central Officer for South Vietnam. After the liberation of the South, our PPF initiated “All people protect the Motherland’s security” movement to destroy enemy’s remnants, eliminated FULRO units, and remove and neutralize former puppet government and U.S.’s spy rings, completely defeating sabotaging and overthrowing attempts of domestic and foreign adversary forces. It is also noted that, in executing its tasks, PPF has always closely worked with the military, especially in critical campaigns, for example: Dien Bien Phu Campaign, a military feat that shook the world and ended the reign of French Colonialism in our country; or the glorious Ho Chi Minh Campaign, which led to the liberation of the South and the reunification of the country. In past emulation movements, there were numerous shining examples of extraordinarily capable and brave police members, many of them were martyrs, for example: Bui Thi Cuc, Nguyen Thi Loi, Phan Khac Trinh, Tran Binh, Buu Doa, Cao Ky Van, Vo Thi Sau, etc. In the war against French Colonialism, the war against U.S. Imperialism and border wars of 1979, there were nearly 15,000 police members who made their ultimate sacrifice and nearly 5,000 other members of PPF injured; they were truly outstanding examples of following Uncle Ho’s Six Percepts and champions of revolutionary heroism of Ho Chi Minh Era. Since the beginning Doi Moi era, in accordance with requirements for task execution, Police Party Central Committee and Ministry of Public Security have issued many documents to instruct and direct the work of studying and following Uncle Ho’s Six Percepts. The implementation of the movement is constantly innovated for better outcomes. Besides, PPF continues to closely cooperate with the military and other government branches and local authorities in fulfilling its key role in defeating “peaceful evolution” and sabotaging attempts of adversary forces and opportunist elements; and in fighting crimes and illegal activities, etc., to protect our Party and socialist regime, and maintain a peaceful, stabilized and secured order for the country’s development. The ever-changing world today has been resulting in many unpredictable developments. 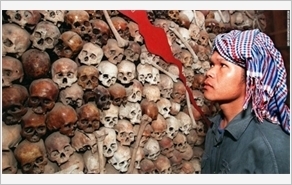 The Fourth Industrial Revolutionary and its unprecedented scale and pace; and non-traditional security issue such as terrorism, war on drug, pirate, money laundering, cyber crime, human trafficking, illegal immigrant, religion and ethnic issues, etc., have caused great impacts on the security of every nation, including Vietnam. Domestically, adversary forces are aggressively seeking for the realization of “peaceful evolution” with increasingly dangerous and devious methods; besides, the corruptions in political mentality, morality and lifestyle, including “self-transformation”, “self-evolution”, and criminal activities and social evils have become more and more complicated. These issues have posed great challenges and difficulties to PPF in fulfilling its tasks. In contributing to the work of building a transparent and robust PPF in terms of political awareness, mentality, morality and organization to fulfill all the tasks assigned by the Party and the people, each and every police member “must permanently follow Uncle Ho’s Six Percepts, always stay clean, committed and unyielding from the seduction of reactionary elements and “interest groups”, and not abuse their power to harm common and rightful interests of the people”, “always learn by heart and seek to realize the motto: “be selfless for the country, be committed for the people”; “the survival of the Party means your existence”; “Honor is the most sacred and precious thing”. Therefore, the continuous innovation and improvement of “People’s Police Force studies and follows Uncle Ho’s Six Percepts” movement is a critical and subjective requirement for the following tasks. First, the work of studying and following Uncle Ho’s Six Percepts is a core element in Party and PPF building; it is also a permanent task of each police officer and Police Party committees and organizations at all levels. 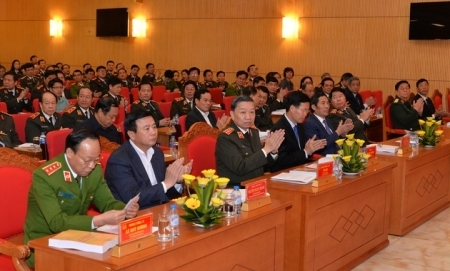 This task is also integrated into the implementation of Guideline 05-CT/TW (Tenure XII) by Politburo to “Push ahead the movement of studying and following Ho Chi Minh’s ideology, moral examples and lifestyle”, Central Party Committee Resolution 4 (Tenure XII) on building and strengthening the Party, Guideline 07/CT-BCA issued by on October 26, 2016 to “Enhance leadership and improve cultural behavior for PPF in the new situation”, Circular 27/TT-BCA issued on August 22, 2017 by Minister of Public Security on People’s Police Code of Conduct, and regulations on collecting complaints and suggestions from civil offices, organization and the people for PPF. Also, “Educate People’s Police officers with courageous spirit and civilized manner, devotion in serving the people” Campaign and other Patriotic Emulation movements continued to be implemented effectively in the force. Second, the implementation of “People’s Police Force studies and follows Uncle Ho’s Six Percepts” movement must follow these principles: “high ranks first, grass roots later”, “inside first, outside later” and “initiation must go with action”. Also, the responsibility and exemplarity of the leadership at all levels must be promoted and the total strength of social organizations in the force must be fully mobilized to build a transparent and robust PPF in terms of political awareness, mentality, morality and organization; capable of fulfilling any assigned task. Besides, PPF must effectively push ahead the fight against corruption, wastefulness, bureaucracy to improve the quality of working aspects. Third, organize extensive, regular and systematic education and propaganda activities for Party members, citizens and police members to enhance their awareness of the revolutionary values and ideas in Uncle Ho’s Six Percepts; these activities must focus on building political awareness, morality and close tie with the people for police members. As a result, the Six Percepts and Ho Chi Minh’s ideology, moral examples and lifestyle will become the ideological basis for every activities of PPF. Fourth, the objectives of “People’s Police Force studies and follows Uncle Ho’s Six Percepts” movement must be practical, and their implementation must be appropriate. The work of studying and “self-evaluation, self-adjustment” in accordance to Uncle Ho’s Six Percepts must be a regular activity of Party committees at all levels; also, it must be integrated into the action plans of Politburo Guideline 05-CT/TW, Central Resolution 4 (Tenure XII) and “Educate People’s Police officers with courageous spirit and civilized manner, devotion in serving the people” Campaign; becoming a regular and self-initiated work of Party organizations, Party members and all police members. Fifth, enhance personnel management, strengthen discipline and assertively and effectively implement different methods to fight corruptions in political awareness, morality and lifestyle, and symptoms of “self-evolution”, “self-transformation” in PPF. Also, the propagation of the theme “People’s Police Force studies and follows Uncle Ho’s Six Percepts”; “Good individual, good deed” and shining examples in “For National Security” movement must be promoted. Besides, “Gratitude” activities, and social and charity programs, etc., must be effectively organized to enhance the revolutionary morality and nature of People’s Police members in the era of industrialization, modernization and international integration. Sixth, reform and create positive changes in the work of emulation and rewarding in “People’s Police Force studies and follows Uncle Ho’s Six Percepts” movement. This work must be implemented correctly and generate educational effects to police units and members operating in remote areas, border provinces, offshore islands, and complicated neighborhoods. Also, good examples and innovative methods must be explored, proliferated, and rewarded properly. Seventh, uphold the determination and commitment of each police member in self-evaluation, self-adjustment, self-educating to improve their own merits and morality and build connections with their own selves, with their partners, with the government, with the people and with the enemy as Uncle Ho taught. The Six Percepts must also be applied to improving their capabilities in political and legal affairs, and effectively updating and applying new scientific and technological advancements of the 4.0 era to utilize in PPF’s working and combat missions in the era of international integration.